Auxiliaries - Zeta Phi Beta Sorority, Inc. Zeta Delta Zeta Chapter Serving Burlington County, N.J.
Zeta Amicae was established as an auxiliary of Zeta Phi Beta during the 1948 National Convention (Grand Boule). 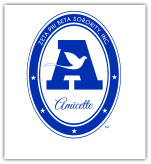 Amicae are women who believe in and support the ideals of Zeta Phi Beta Sorority, Inc., but have not earned a bachelor's degree. The Zeta Amicae of Burlington are always interested in welcoming women into their fold who support the ideals and goals of Zeta Phi Beta Sorority, Inc.
Zeta Archonettes is one of Zeta Phi Beta's youth auxiliary groups. First formed in the 1950's, members are young women in between the ages of 14 and 18, who are in high school and demonstrate an interest in the goals and the ideals of scholarship, sisterly love, and community service. Zeta Delta Zeta's Archonette group is very active. Members meet on a monthly basis, and participate in social and cultural activities, as well as perform community service. Zeta Amicettes are girls 9 to 13 years of age who are willing to strive toward the high ideals of Zeta Phi Beta Sorority and who demonstrate potential for leadership in service to the community. Zeta Delta Zeta's Amicette group is very active. Members meet on a monthly basis, and participate in social and cultural activities. 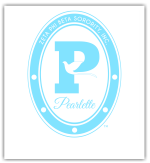 Zeta Pearlettes are the youngest of Zeta Phi Beta's youth auxiliary groups. Members are girls in between the ages of 4 and 8 years of age who are mentored by ladies of Zeta Phi Beta Sorority, Inc. to become outstanding leaders in their community. The group meets on a regular basis, and participates in social and cultural activities, arts & crafts and community service projects.